The perfect Christmas gift for dogs! 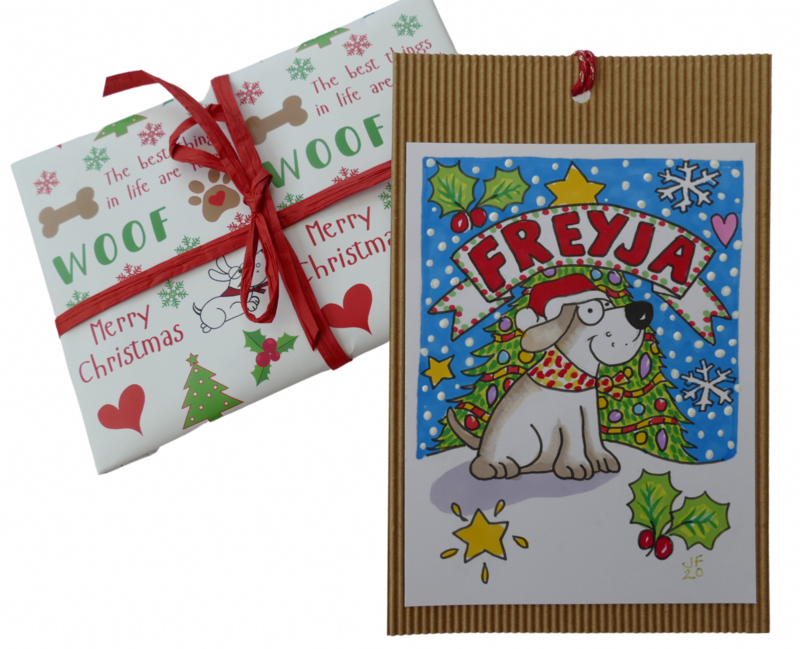 A gorgeous and subtle Scandi print, and your dog's name beautifully embroidered along the edge! 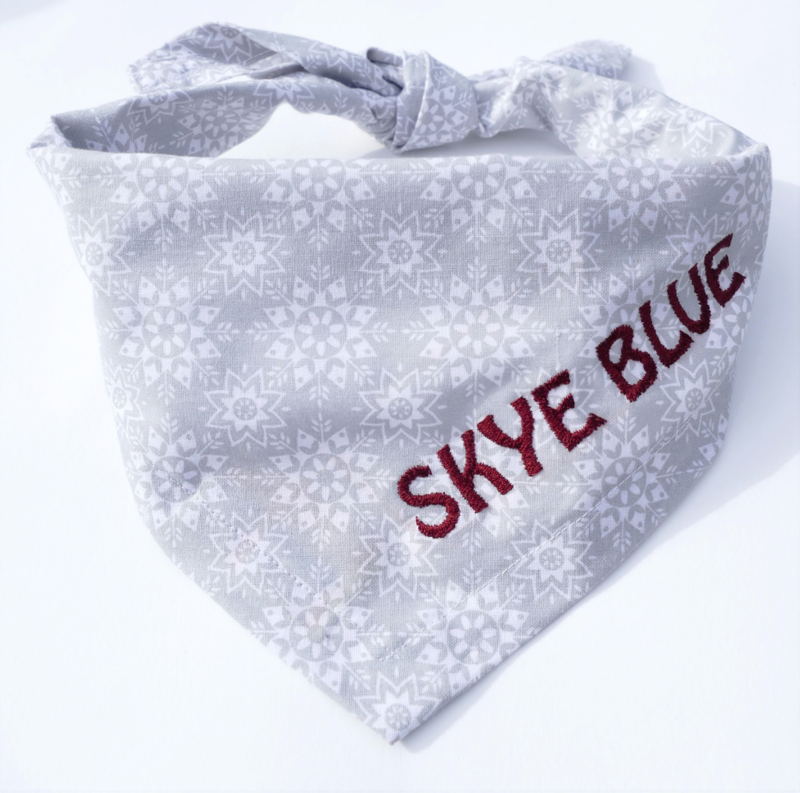 This is a perfect personalised Christmas dog bandana, in a soft shade of silver grey with a lovely scandi snowflake/flower print in white. Your dog's name will be embroidered along the edge of the point in the colour of your choice. 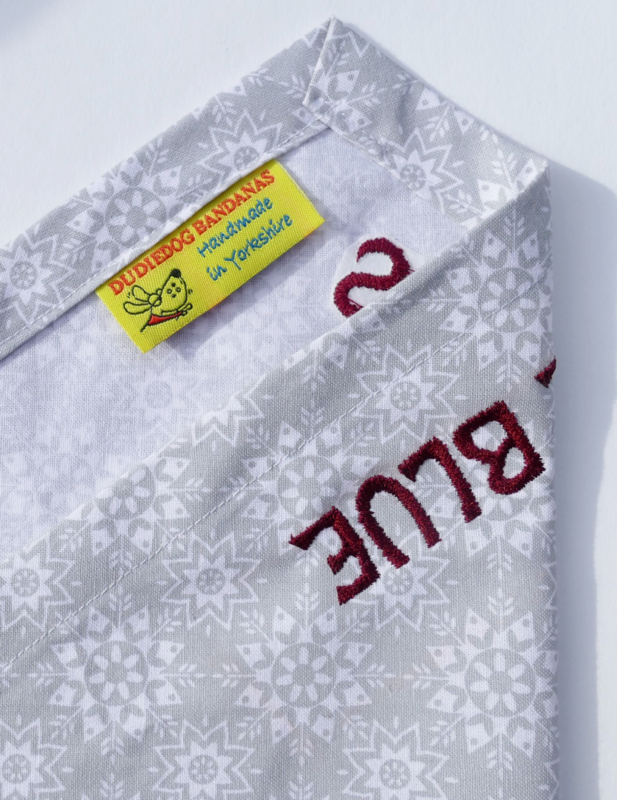 This lovely bandana will make a great Christmas gift for dogs, and although it's a Christmas print we think this is ideal for wearing at any time of year. It's made from a high quality 100% cotton fabric, and is available in 7 sizes. It's a tie on style bandana. At checkout please select your size. Please get in touch if you have any queries or special requests.